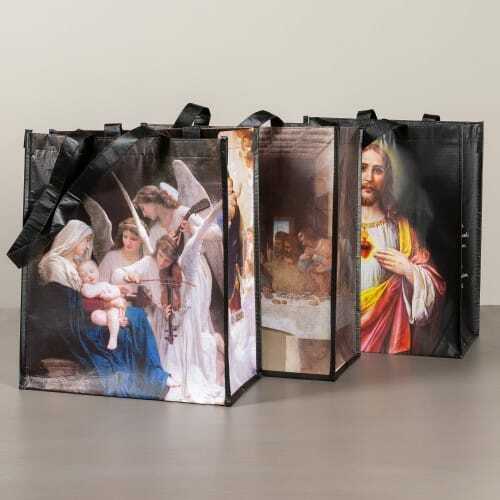 These fun yet thoughtful tote bags feature some of the most beloved and famous classic religious art of our time. The style gives the bags a museum art feel. Made from recycled materials, these sturdy yet lightweight market totes are also easy to wash. Perfect for carrying groceries or day trip supplies, or even as a practical, reusable gift bag!